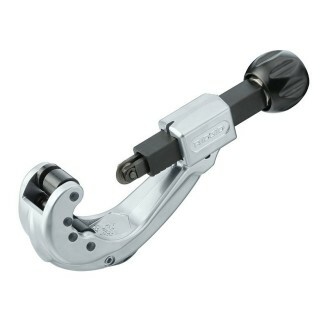 Specifically designed for use in restricted spaces on small diameter, hard and soft copper, aluminum, brass and plastic tubing; rollers include grooves for close-to-flare cuts. Strong, lightweight slide and wheel housing, large knurled feed screw knob gives easy control of cutting pressure for clean cuts. Models 101 includes a spare cutter wheel in knob. 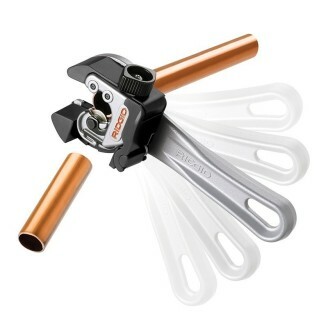 Specifically designed for use in restricted spaces on small diameter, hard and soft copper, aluminum, brass and plastic tubing; rollers include grooves for close-to-flare cuts. Strong, lightweight slide and wheel housing, large knurled feed screw knob gives easy control of cutting pressure for clean cuts. 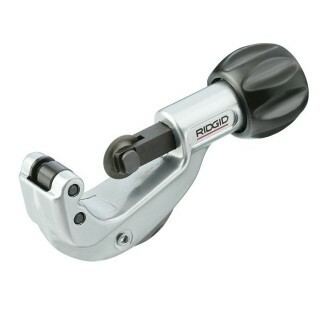 Specifically designed for use in restricted spaces on small diameter, hard and soft copper, aluminum, brass and plastic tubing; rollers include grooves for close-to-flare cuts. 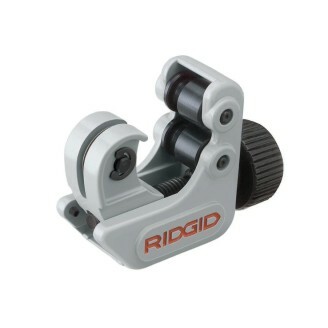 Strong, lightweight slide and wheel housing, large knurled feed screw knob gives easy control of cutting pressure for clean cuts. Model 101-ML is for multilayer tubing only. 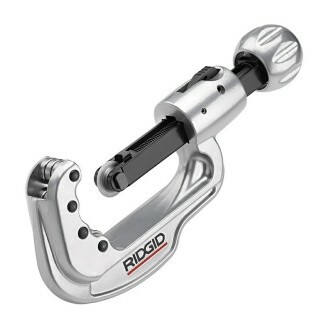 Telescoping feed screw design keeps the cutter at the same length regardless of tubing diameter – good for tight spaces. 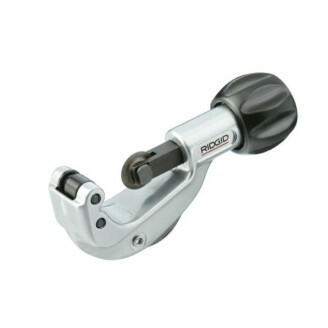 Features an enclosed feed screw to eliminate clogging and jamming, grooved rollers for close-to-flare cuts, and a fold-away reamer. Clean, square cuts are easily made on copper, brass, aluminum and thin-wall steel. 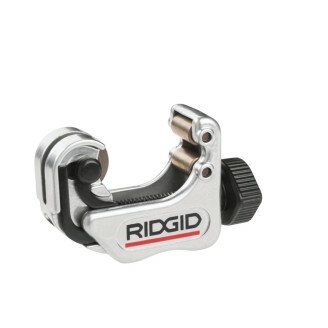 Now includes X-CEL Knob for quicker cutting. 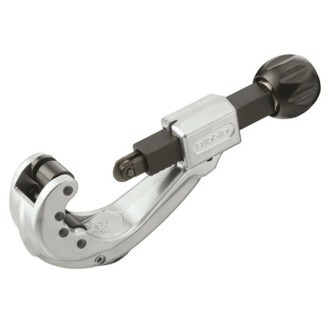 Models 10, 15 and 20 feature a convenient fold-away reamer. 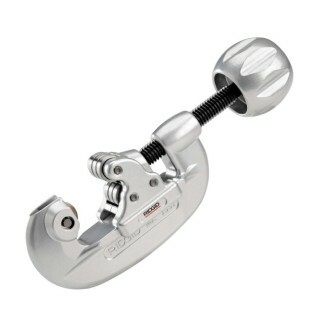 Screw Feed Cutter, with H-D Wheel for Steel. 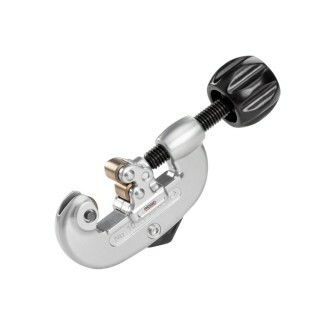 Screw Feed Cutter with H-D Wheel (for steel). RIDGID Model 35S Stainless Steel Cutter (6-35mm). 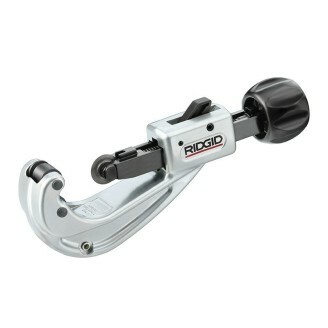 RIDGID Model 65S Stainless Steel Quick-Acting Tubing Cutter (6-65mm). 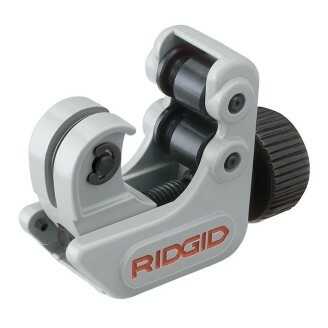 RIDGID Model 151 Quick-Acting Cutter (6-42mm) RIDGID Models 151-156 feature a quick-acting design, I-beam construction, hardened wear surfaces and thrust bearing slide assemblies for smooth operation. 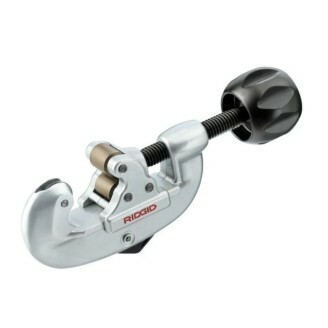 RIDGID Model 151-P Quick-Acting Cutter With Wheel for Plastic (10-40mm) RIDGID Models 151-156 feature a quick-acting design, I-beam construction, hardened wear surfaces and thrust bearing slide assemblies for smooth operation. 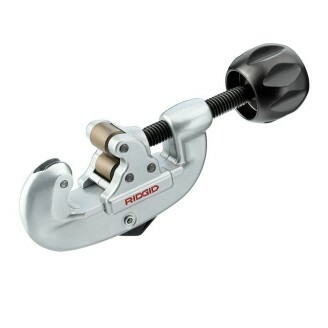 RIDGID Model 151-ML Quick-Acting Tubing Cutter (10-50mm) RIDGID Models 151-156 feature a quick-acting design, I-beam construction, hardened wear surfaces and thrust bearing slide assemblies for smooth operation. RIDGID Model 152 Quick-Acting Cutter (6-66mm) RIDGID Models 151-156 feature a quick-acting design, I-beam construction, hardened wear surfaces and thrust bearing slide assemblies for smooth operation.